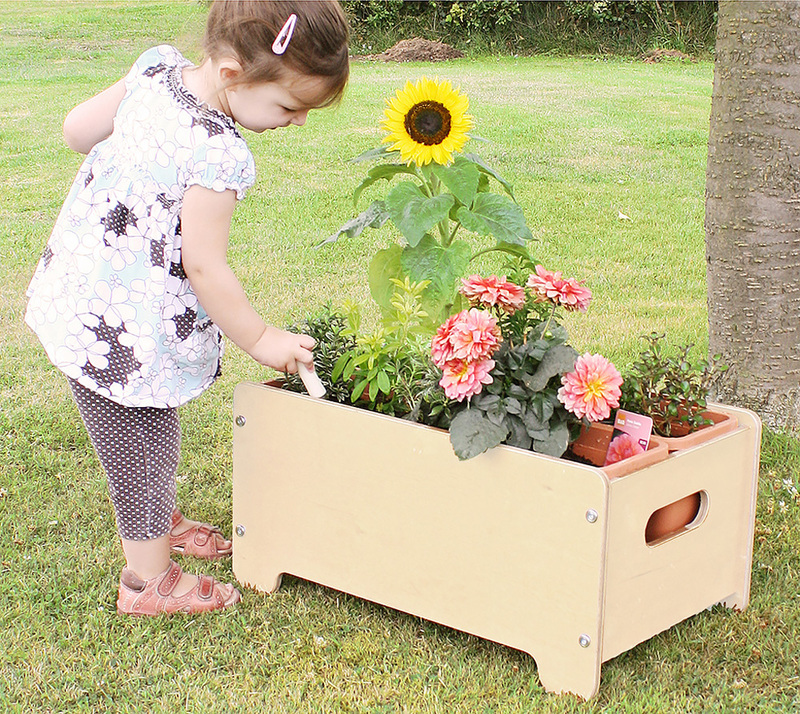 The outdoor planter encourages children in schools or nurseries to get their hands dirty and grow and look after their own flowers, herbs and vegetables. 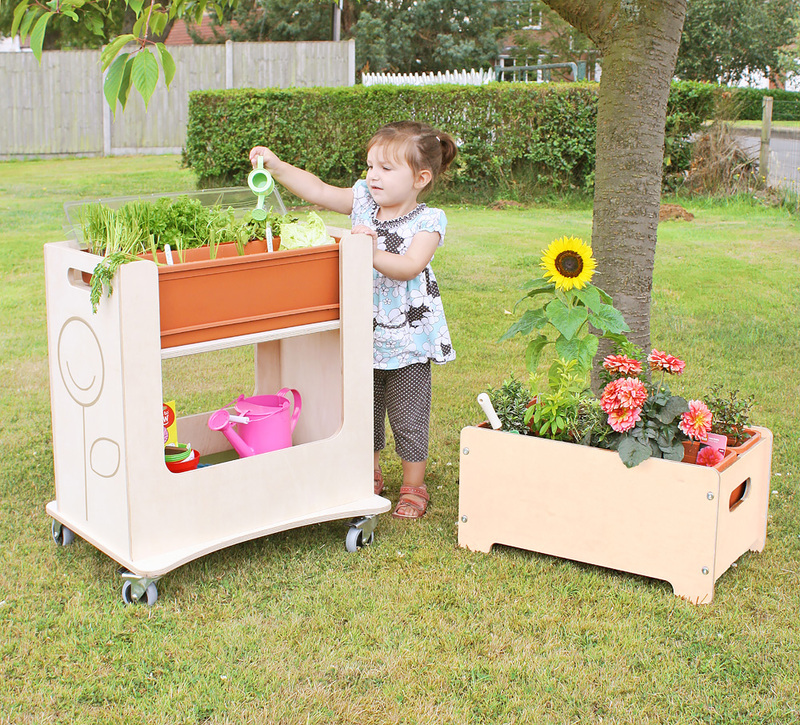 Designed specifically with early education in mind and to be used in conjunction with the indoor/outdoor mini garden. Once seedlings in the mini garden have sprouted they should be transferred to the outdoor planters for continued growth and maintenance. 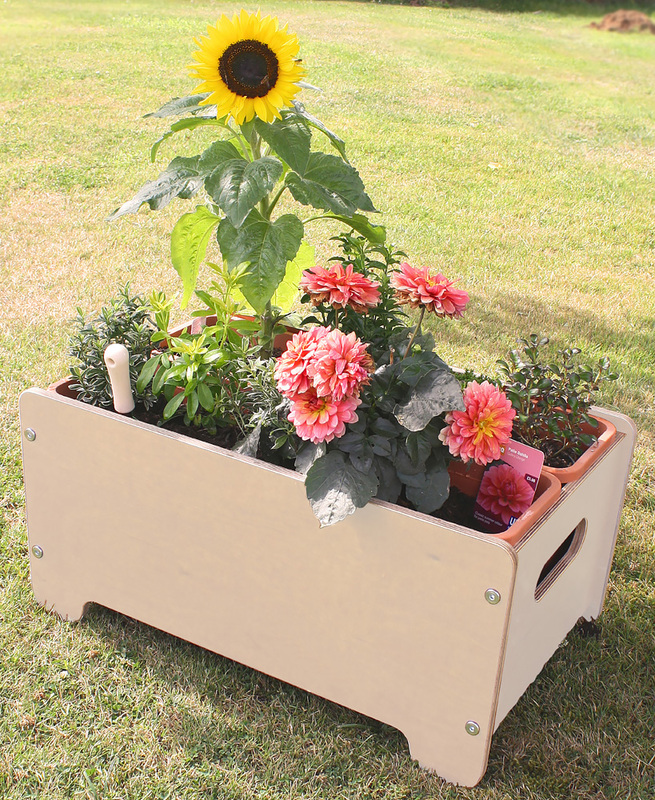 Manufactured in the UK using sustainably sourced exterior grade plywood with a tough exterior lacquer on the edges that helps the planter to maintain its natural wood appearance. Delivered flat packed for easy assembly and supplied with two deep plant pots. The outdoor planter comes with a 5 year manufacturer’s guarantee that protects against structural failure caused by rot and insect attack. Please note: the seeds and gardening equipment featured in the product images are not included with the outdoor planter. Please Contact Us or alternatively call for more details on 01733 511121.